VideoReDo Plus eliminates the quality and performance limitations of typical video editors by quickly editing in Native MPEG (smart rendering), changing only the few frames you change. So you experience a fast, easy, high quality result. 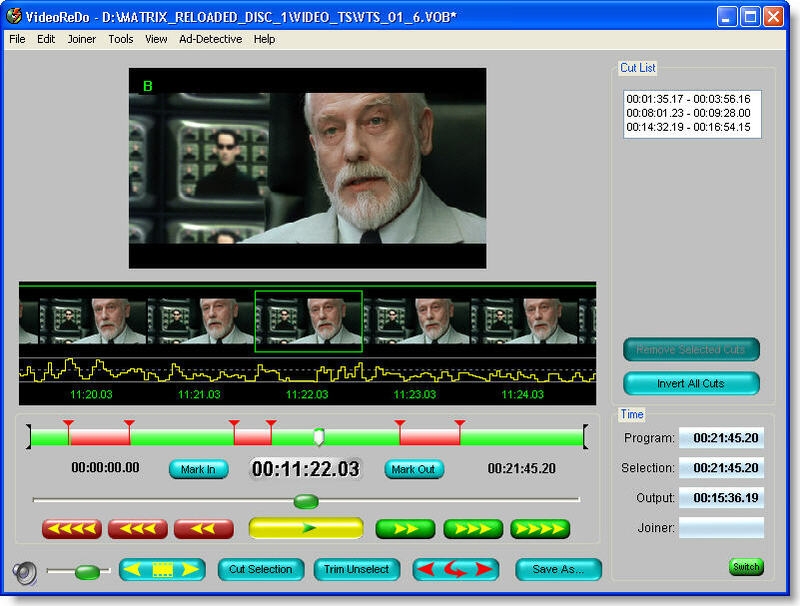 Whether you create digital video by capturing TV programs, convert analog (VHS) tapes, or extract chapters from home recorded DVDs, VideoReDo makes fast work of trimming, cutting, ..
VideoReDo smart rendering technology supports MPEG1 editing (including VCD), MPEG2 and Windows Media Center (MCE) editing , including DVD & SVCD editing, Set Top Boxes like TiVo (with TiVo To Go) and the Siemens M740V, as well as High Definition editing (HD) program stream and transport stream editing. Qweas is providing links to VideoReDo Plus 2.1.0. as a courtesy, and makes no representations regarding VideoReDo Plus or any other applications or any information related thereto. Any questions, complaints or claims regarding this application VideoReDo Plus 2.1.0. must be directed to the appropriate software vendor. You may click the publisher link of VideoReDo Plus on the top of this page to get more details about the vendor.